In 2016, SIGNIS SERVICES ROME (SSR) can look back at 65 years of serving the Church in the world, especially in Africa and Asia. 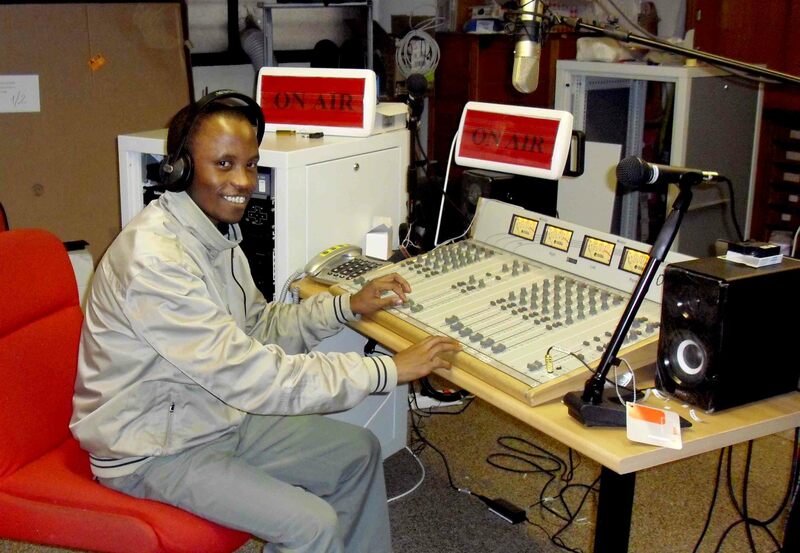 Most Catholics in Africa and Asia who are working in radio, television, internet using satellite connections , journalism, or recording songs on CD and producing catechetical audiovisual material, know SIGNIS Services Rome very well. There, they find professional expertise, advice and support in using the latest communication technologies to promote the Gospel. 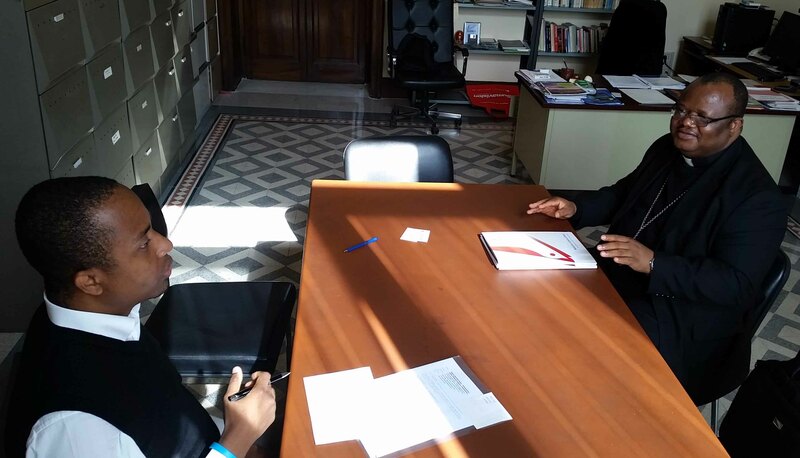 For many African Bishops, and others, who make their way to Rome, no trip would be complete without a visit to the SSR office in Palazzo San Calisto. They know that the staff of SSR can offer them the latest communication services, adapted to the specific needs of their communities and dioceses. SSR can trace its origins in Rome back to 1951 when, responding to the request of the Vatican, it was established by the International Catholic Organization for Cinema (OCIC). In this way, OCIC was able to respond in its own field to the call of Pope Pius XII in his encyclical Evangelii Praecones (June 2, 1951) to invest more in missionary work. The new body was called the Sub-secretariat for Missionary Cinema (SMC) (Sous-secretariat du cinema missionnaire) and its first director was the Xaverian, Fr. Vittorino Callisto Vanzin, who had experience in the production of religious films for the missions. That same year the Sub-secretariat for Missionary Cinema was invited to present its vision and work in basic education using audio visual materials at Unesco in Paris. Unesco was very interested to use the experience of the secretariat in basic education for his activities world wide. It took some years of discussion and contacts in the missionary world for the SMC to become fully operational. At the end of 1957 with the former missionary in China and film-maker, Fr Jean-Marie Poitevin, M. Afr. in charge, the service started to make a real impact. This was also the year that the encyclical Miranda Prorsus (on cinema, radio and television) explicitly referred to the importance of media for and in the work of the missions! With the advent of the digital age, the rise of social media and the quickening pace of ever new technological developments, SIGNIS Services Rome has never been more needed. 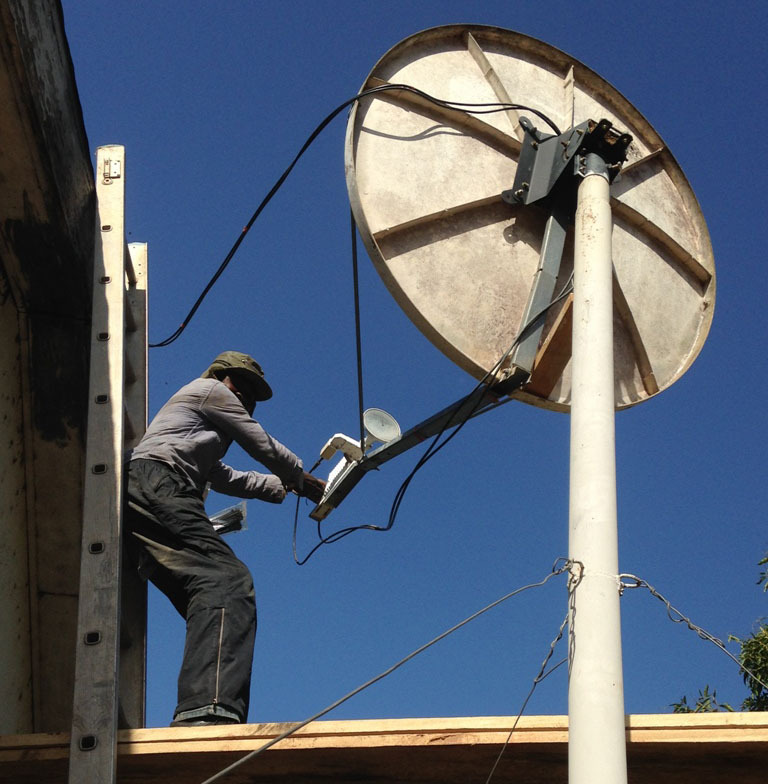 Faithful, to its long history and its mandate to provide the pastoral service in the field of missionary communication, SSR is looking forward to new challenges and opportunities as it continues to serve the needs of the growing Church in Africa and elsewhere. 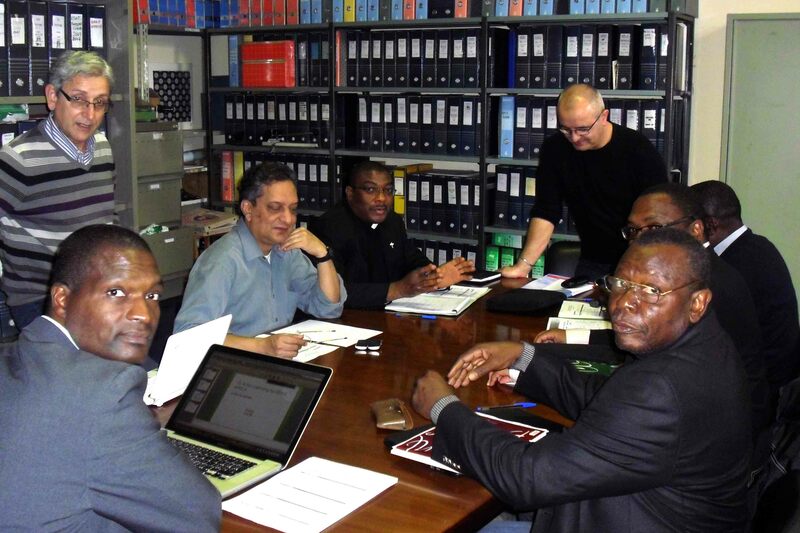 Renamed the OCIC Missionary Service, the office became an essential support for the propagation of the faith through the media in the period of decolonization and emergence of newly independent countries in the 1960s. Mass media became a new domain of evangelization. Media became of increasing importance to African, Latin American, Pacific and Asian Catholics as they expressed themselves in their rapidly changing societies. 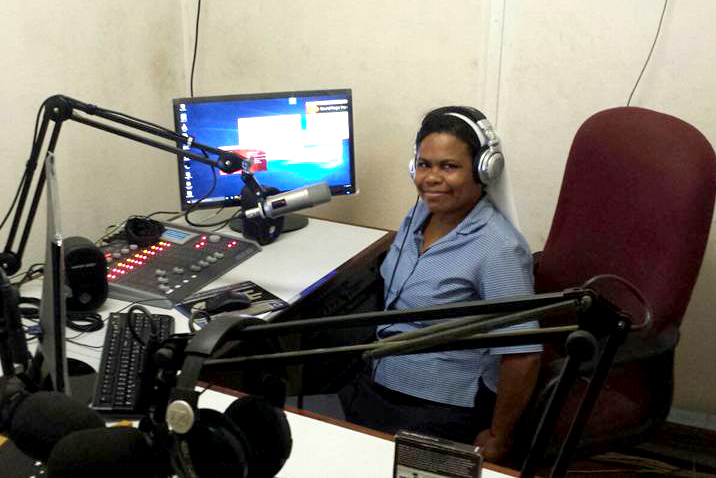 The Missionary Service, supporting the pastoral mission of the Church, promoted the idea of media as instruments of social communication, building community on the basis of faith, using media to communicate Christ on the airwaves, on the screen, and in hearts and minds. In 2001, in Rome, OCIC and Unda (the International Association for Radio and Television), merged to form SIGNIS (the World Catholic Association for Communication). In 2014 SIGNIS received its Canonical Statutes and is now the only international Catholic communications association formally recognized by the Holy See. 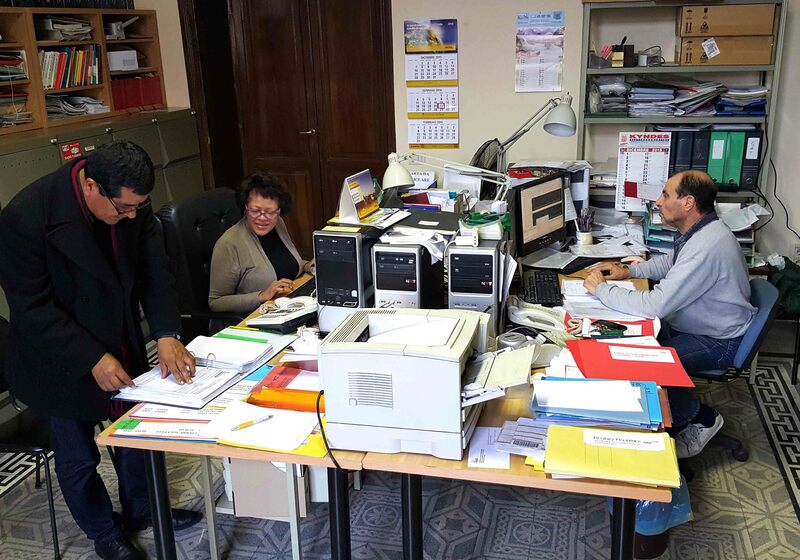 After the formation of SIGNIS, the OCIC Missionary Service became SIGNIS Services Rome (SSR). In the last 15 years SSR has been increasingly important in helping to bridge the technological gap in the field of communication for Catholic communities living in the “global south”. SSR is now operating on three main levels. First of all, in offering Pastoral and technical guidance in the writing of media projects for dioceses and Catholic media in missionary areas, especially in Africa. These projects are then presented to potential donors. Secondly, by selecting, evaluating and providing the technical means and support that will enable Catholic media, especially Catholic radio stations, to be more effective witnesses in their work of communications. Finally, SSR is also involved in providing hands-on media and communication training to Bishops’ Conferences, dioceses, formation personnel, seminarians and Catholic media, in collaboration with partners such as Vatican Radio and Crec International, a Catholic association for communications and media training. Thanks for the information. I am Fr. Louis Chikanya, Archdiocese of Lilongwe in Malawi, Central Africa. I will be graduating in December after having successfully completed my three years study in Journalism and Media studies at St. Augustine University of Tanzania (SAUT). I am now at home in Malawi working in the radio, (Radio Alinafe) of the Archdiocese of Lilongwe.